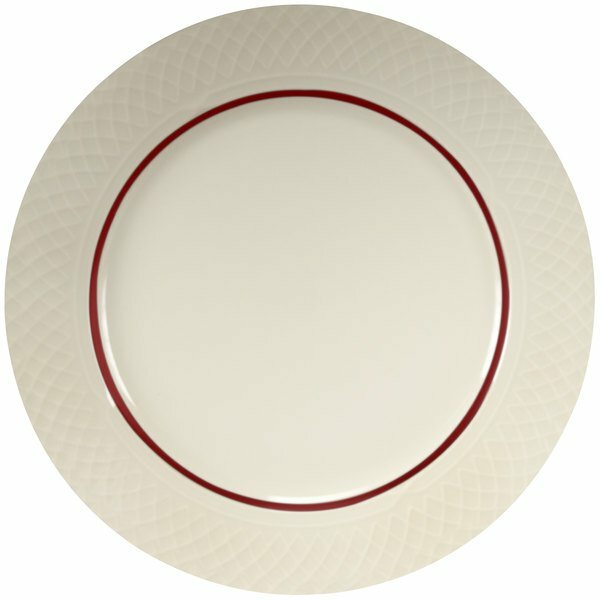 This Homer Laughlin Gothic Maroon Jade 10 5/8" creamy white / off white plate is enriched with the original Gothic design with a chic burgundy variation. Made with high-fired, lead free glazes, this plate has a wide rim embellished with intricate lattice sculpting and a pointed-arch pattern. This Homer Laughlin Gothic Maroon Jade plate further has a fine, iridescent, burgundy ring outlining the inner rim. This plate also has an overall satiny texture, yet maintains a chip-resistant durability. 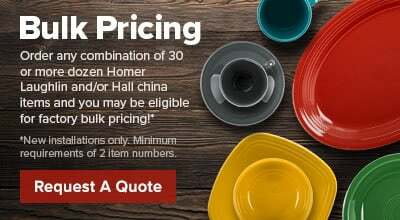 With smooth, rounded edges, this Homer Laughlin Red Jade plate can be used to serve celebrated appetizers, desserts, or main entrees. It's perfect for elegant restaurants, hotels, or catering events.